About.com has reviewed a film and slider scanner from Plustek. 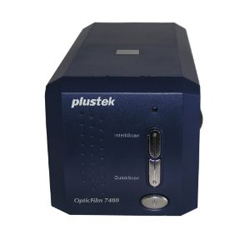 The scanner is called Plustek Optic Film 7400 and is able to scan negatives and slides. About.com ends up giving the Plustek Optic Film 7400 Film / Slide scanner a good review with an overall score of 4 out of 5 stars. The reviewer finds the scanner to be good at scanning and it is very easy to use with the software it comes with. One downside is slow scanning and it is also only able to scan one frame at the time. Read the full review of the Plustek Optic Film 7400 Film / Slide scanner here.